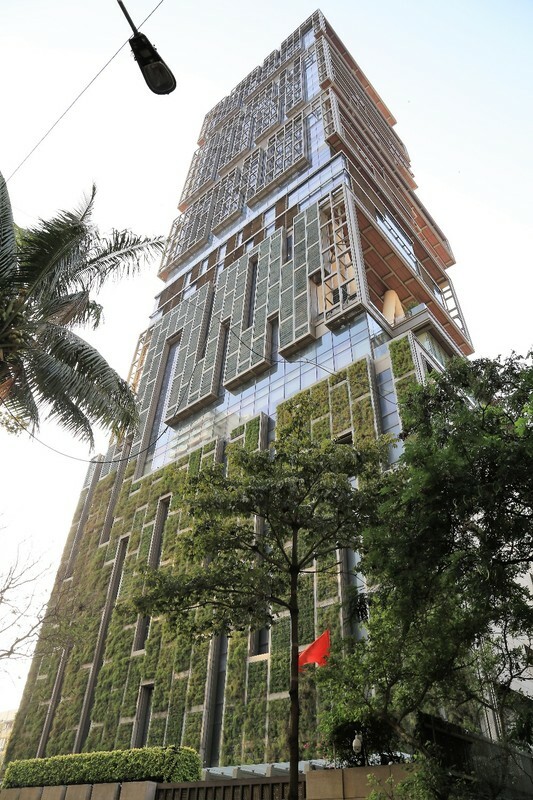 Antilia is a private home owned by Mukesh Ambani, chairman of Reliance Industries. It is located on Altamount Road, Cumballa Hill in South Mumbai. The construction of the home was completed in 2010. Mukesh Ambani moved into this 400,000-square-foot mansion in 2012 with his wife and three children. Here are 10 crazy Antilia facts which will blow your mind. HERE ARE SOME UNKNOWN FACTS ABOUT ANTILIA ? 1. Antilia is Mumbai’s 47th Highest building with a height of 173 meters and 27 floors. Other buildings of equivalent height may have as many as 60 floors. The residence also has guest apartments. 2. The home has a staff of 600 to maintain the residence 24 hours a day. These six hundred workers are expert in their respective skills and As expected they are being paid a huge salary. 3. Buckingham Palace is regarded as the most expensive property in the world which is designated as the crown property. However, in comparison, Antilia can be said as the most expensive private residential property with a value of around $1 billion. 4. The building is named after the mythic island Antillia. Antillia (or Antilia) is a phantom island that was reputed, during the 15th-century age of exploration, to lie in the Atlantic Ocean, far to the west of Portugal and Spain. 5. The home has been designed to survive an earthquake rated 8 on the Richter scale. Which can cause major damage to buildings, structures likely to be destroyed? This magnitude of the earthquake will cause moderate to heavy damage to sturdy or earthquake-resistant buildings. Damaging in large areas. Felt in extremely large regions. 6. It is considered by some to be the tallest single-family house in the world. Others believe Falcon Nest to be a tallest single-family house in the world. Falcon Nest is a detached residence in Prescott, Arizona, that is the tallest single family home in North America at 124 feet (38 m). Its name is attributed to its similarity to a large bird’s nest and the peregrine falcons that inhabit the area. Falcon Nest is located in Yavapai County which is approximately a two-hour drive northwest of Arizona’s capital, Phoenix. 7. The home has three helipads and an air traffic control system. 8. The home was completed in 2010. In 2011, Ambani did not want to move into the house for fear of bad luck at home did not conform to Vastu requirements. 9. The Ambani’s residence includes a movie theater with a seating capacity of 50, health and fitness floors that feature a swimming pool with spa and gym, and balconies with outdoor gardens. The house has one floor dedicated to maintenance. 10. The home has six floors of parking which can accommodate up to 168 cars.